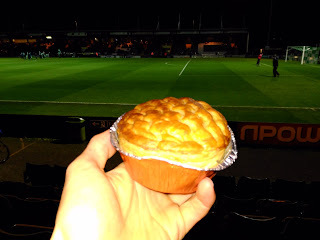 Pierate - Pie Reviews: Football Pie Story: "I wouldn't eat that on TV!" So unless you've been hiding under a rock for the last 24 hours, you might have heard of a pie-ticular incident that happened in the Sutton United v Arsenal FA Cup tie. No, I'm not talking about Sutton's dream run from non-league obscurity to Round 5 of the FA Cup, or Theo Walcott's 100th goal for the Gunners. 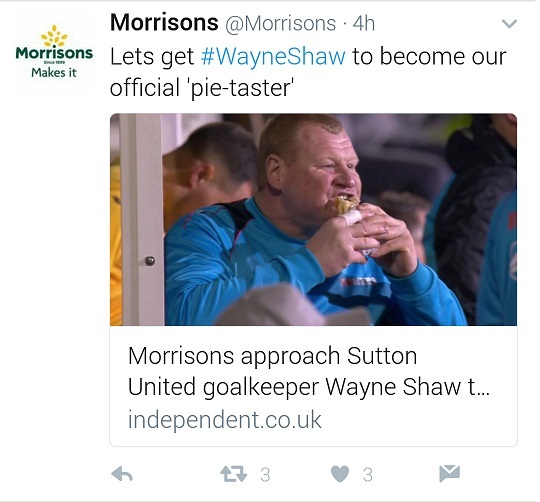 Of course I'm referring to the pastry-based object that the reserve keeper Wayne Shaw ate DURING the match, now subject of a pie-tential betting infringement. But you know what makes it worse? He ate a pasty! IT WASN'T EVEN A PIE!!! No wonder he's now ruing his decision! A pasty?! I wouldn't eat that on TV! I wouldn't eat that at all!!! That's right - while the subject of most of the debate has focused on Mr Shaw admitting he knew he was the subject of a bet to eat a pie during the match - leading to an FA investigation and Mr Shaw offering his resignation - what we at Pierate are most outraged at is the fact that everyone keeps calling the pasty he ate a pie! A pasty is not a pie!!! How many times do we have to say it?! As if the furore surrounding a pasty winning the British Pie Awards 2016 was not enough, now it seems the mainstream media don't know the difference between a pie and a pasty! Not helped by the BBC commentator calling the pastry based product a pie during the coverage of the game on BBC One on Monday night, it seems the papers and other news outlets have jumped on the "pie" wagon. Even Morrisons supermarket seemed to get caught up in all the excitement by supposedly offering Wayne Shaw a one year deal to be one of their pie tasters - though following the later sacking and potential legal proceedings coming Wayne's way that may sink without a trace! 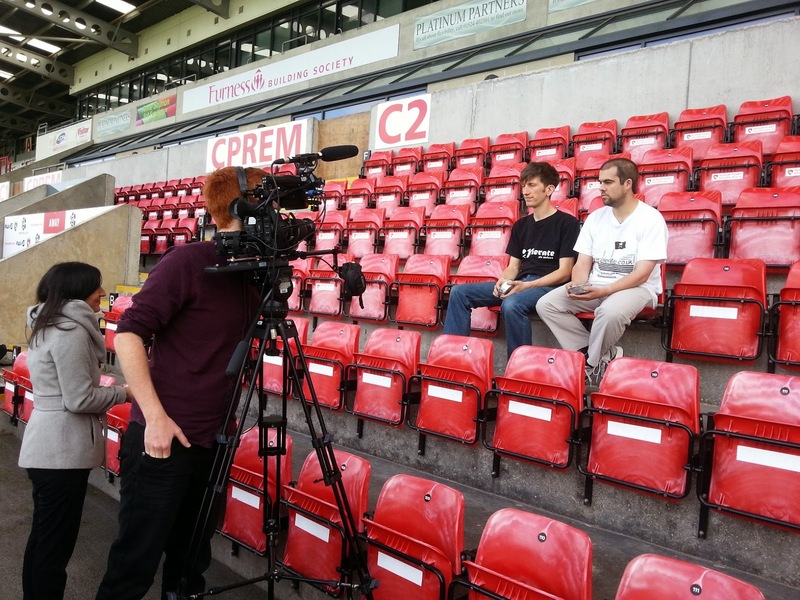 Whatever the future may hold for Mr Shaw, we hope it won't put him off his pies. Maybe that offer from Morrisons will be even more lucrative now he's a free agent? !